Monday’s workout had Monday written all over it. It consisted of way too much running and burpees. 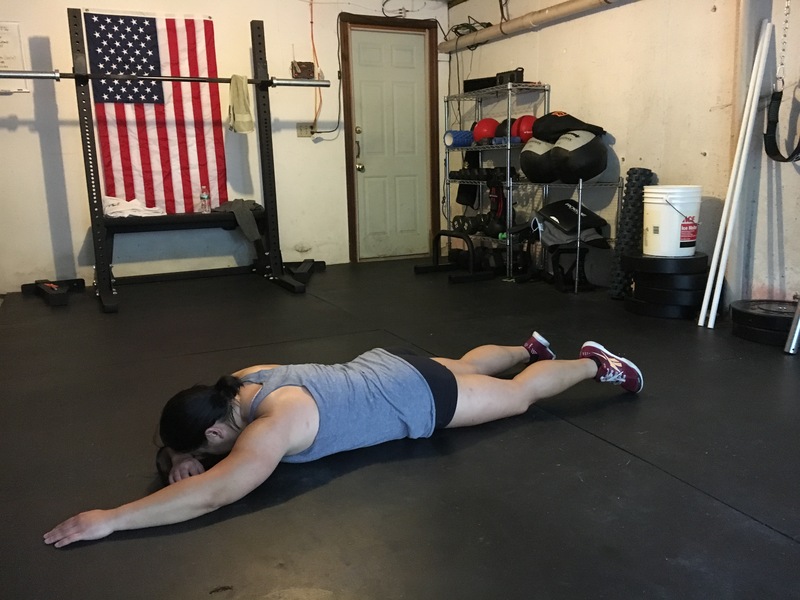 After running for a total of 800m meters, partially uphill, my legs were begging for mercy when I was doing 15 squat cleans, 12 thrusters, and 9 clean & jerks. Little did my legs know that this was just only the beginning. There was so much more to go for the week. Tuesday, my legs actually got a little break and my shoulders got to suffer thanks to a boatload of deficit push-ups. Wednesday was like an extended remix album that just wouldn’t end. I so wanted to lift the needle off the record and unplug the record player. And this was at a point where I wasn’t even half way through the workout. I couldn’t even see the clock clearly when I was done. I was so delirious. I knew in total it was 40+ minutes. But it really felt more like 40 days to complete. Thursday was so fun! I had a girls night with my friends, Kelley and Jen, and we took a spin class. It was my first spin class ever. I always like trying new things, even though I think I’m going to die five minutes before it starts. We had lots of laughs, especially when my foot came out of my shoe in the middle of the workout. Twice! I didn’t think that was possible, but sometimes I like to prove myself wrong. It was a challenging workout, and even though Cardio and I don’t really get along, we’re working on our differences to make our relationship work. Spin Class at Rev’d, Patriot Place.